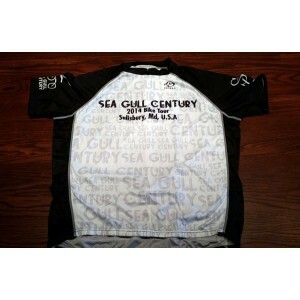 2014 Sea Gull Century bike jersey. White/black/grey. 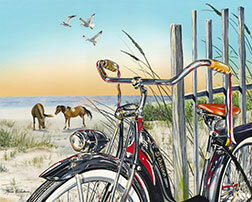 This Primal Jersey is designed to wick, or disperse moisture, lowering the body temperature. This jersey has a tag-less label, exposed zipper, ergonomic panels, 3 rear cargo pockets, and an SPF of 35.